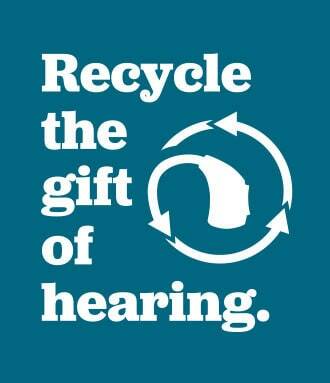 Every year thousands of hearing aids are donated to our recycling program from people looking to help. Those hearing aids can open up the world of sound to someone in need. Many of the hearing aids used on international hearing missions come from the recycling program, making hearing aid donations vital to the success of the Foundation. The journey from donation to the hearing mission field is an absolute labor of love. Drop off your hearing device(s) to any of our 11 locations in Eastern Ontario and receive a $200 credit toward a new hearing aid. Please note: due to the diversity in age, make, and condition of the aids we receive, it is not possible for us to determine a tax-deductible value for each aid. Please consult your tax advisor.